Susanne: Like most of the world, I am nuts about David Sedaris‘ work. Jeff and I have a vacation rental here at our Ravenna house in Seattle. 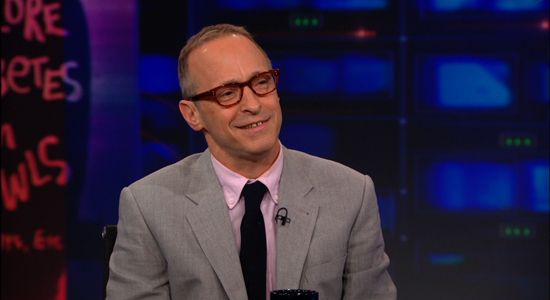 We would be delighted to have David Sedaris stay with us. He tops the list of my dream guests. Apparently his partner, Hugh, has a brother who lives in town. (I think I actually know him slightly from when he worked in a now defunct local art-supply store.) My plan is this: David S. has Google alerts set for his name, he sees this MAGNET squib, is intrigued by my invitation and just happens to be planning a visit to see Hugh’s brother Sam in Seattle. They accept the offer to stay in our “tower” and I get a bit part in an essay. (I won’t even mind if it’s an unflattering portrayal.) How is that for dreaming? Beautiful plan. David Sedaris, are you reading this?!?!?! ?